It is a great idea to convert your backyard into the private playground for kids. However, to make it more interesting, you need to add a couple of play sets that can provide non- stop hours of fun to your children. It's okay if you have not purchased any playground equipment before. We are here with certain things that would help you in selecting the apt play set for backyard. 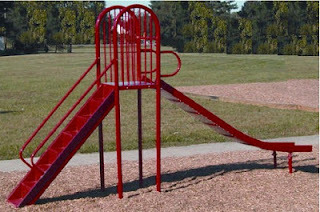 There are different types of play equipment like dome climber, play house, slides, swing sets etc. available in the market. All these play sets are hit in the backyard. However, you need to focus on the material used for constructing these if you are looking for the play set that is also safe for kids. It should be made of superior quality material be it wood, plastic or metal. As it has to be placed outside, it should easily withstand adverse weather conditions. Besides, you must look for an IPEMA certified manufacturer for purchasing the equipment. An IPEMA certificate is provided to the manufacturer who sells superior grade play equipment to the customers at great prices. Before making the final call, ensure that the equipment you are opting for is constructed in adherence with the guidelines defined by CPSC and ASTM. It should also include essential anchors installed at the requisite place. Do measure the area where you will install the indoor play equipment. By this, you would know what type of equipment would suit the best in the area.